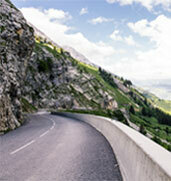 We propose a general tour, offering a panoramic image of Romania. Transylvania with its fortified churches and fortresses, Bucovina’s painted monasteries, the Carpathians and the capital, Bucharest - are all included in a tour of great diversity. Arrival in Bucharest. Meet your guide at the airport. If arrival time permits, tour of the city. 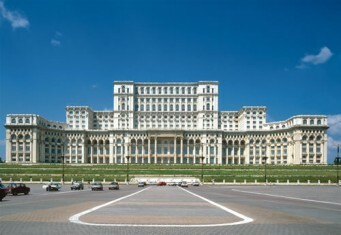 Bucharest: Romania's capital is a city that offers a variety of architectural styles: French from the early 20th century, communist and modern. The city was mentioned for the first time in 1459 in connection with Vlad the Impaler. 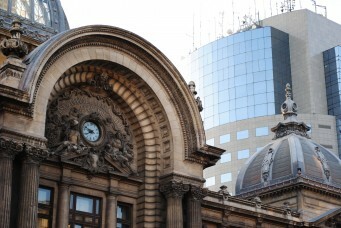 Called "the little Paris", the city surprises with its monuments and various buildings. - The Revolution Square - where the Revolution of 1989 happened, that led to the change of the communist system. - The Arc of Triumph, the House of the Free Press, parks, Victoria Square, Roman Square etc. - The old town with the ruins of the former palace of princes, where Vlad the Impaler lived, Hanul lui Manuc, very lively streets today, with historic buildings. Departure to the Carpathian Mountains at 08.00 am. First stop, after 2 hours on the road in Sinaia. 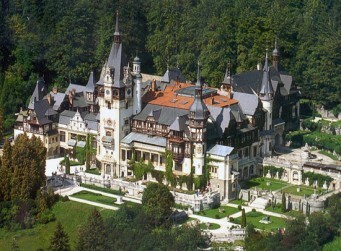 Sinaia is a mountain resort known as "Pearl of the Carpathians". The history of the city begins with the monastery of Sinaia around which the whole town was built. The Peles Castle in Sinaia (www.peles.ro) was built between 1975 and 1914 and was a summer residence of the kings of Romania, the Hohenzollern - Sigmaringen family. It is considered one of the richest German family castles. The visit of the interior takes about 40 min. 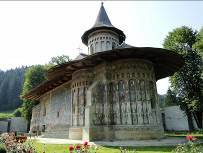 Visit the monastery of Sinaia. 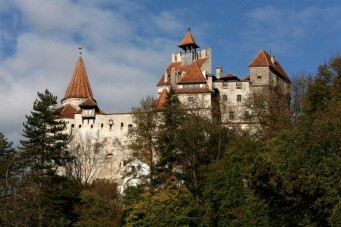 Departure to the village of Bran and visit the castle known as Dracula’s. 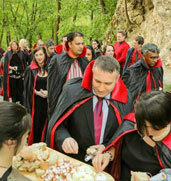 The Bran village is where the castle of Dracula is located (www.brancastlemuseum.ro). 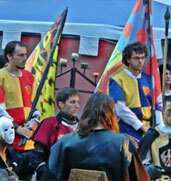 In fact, the castle is linked to the history of the Romanian royal family, and especially the life of Queen Marry. 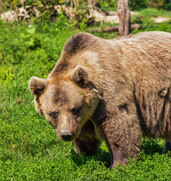 There is little related to Vlad the Impaler who gave birth to the legend of Dracula - only that the prince travelled in this region, or was taken prisoner in the area. Time to visit inside: 30-40 min. To this add the length of time for shopping for souvenirs in the area around the castle. In in the afternoon leave towards Brasov. Accommodation at the chosen hotel. Visit the centre of Brasov: German city, medieval and modern character at the same time (http://92.114.87.131/~brasov/index.php3). Tourist sites: Council Square, Black Church famous for its collection of Oriental rugs inside the evangelical church, The first Romanian school next to the church of Saint Nicolas. The centre has a strong German medieval character and the city is an important historical, economic, cultural, industrial and commercial centre. The route continues towards the Carpathians, towards Piatra Neamt and heading more in the mountain area. 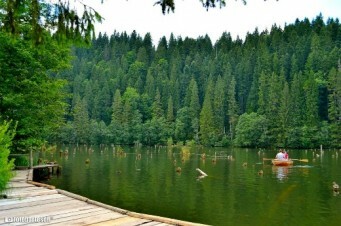 Arrive at Red Lake and stop for photos (http://en.wikipedia.org/wiki/Red_Lake_(Romania)). 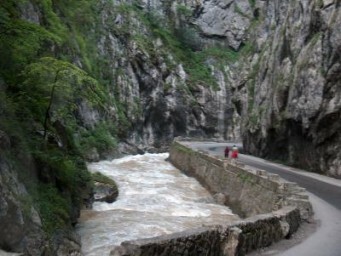 The Carpathians are crossed by the Bicaz Gorge - spectacular narrow passage of the Carpathians. Stop on for photos (http://cheilebicazului-hasmas.ro/en/index.php). 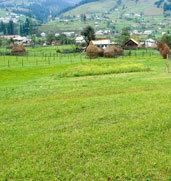 In the afternoon arrive in the region of Moldova and Bucovina. Day dedicated to visit the monasteries - UNESCO monuments, famous for the original exterior frescoes. With original paintings from the 16-17th century, the monasteries are spectacular and surprising: Sucevita, Moldovita, Voronet, Humor. First stop is in the village of Marginea. It is a town famous for its black pottery. Stop and visit pottery workshops where you can watch the artisans at work. Arrival at the Sucevita monastery and visit. 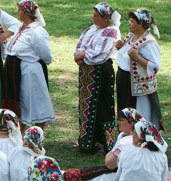 Transfer to the Moldovita monastery. Transfer to visit Voronet monastery. Transfer to the monastery of Humor and visit. 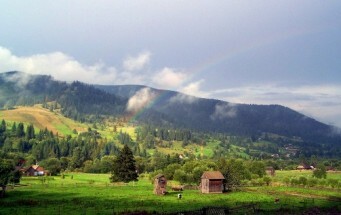 Transfer from Bucovina to Transylvania, where the architecture is completely different again. Crossing of the Carpathians by the Borgo pass, mentioned in Bram Stoker's Dracula novel. Stop at the castle-hotel Dracula in Piatra Fantanele for Mountain View and brief pause (http://www.hotelcasteldracula.ro/). Optional visit of the medieval centre of Bistrita with its famous evangelical church and Coroana de Aur restaurant, mentioned in Bram Stoker's Dracula novel). Departure to Sighisoara with a short walk through the city of Tirgu Mures - with its Art Nouveau architectural style. 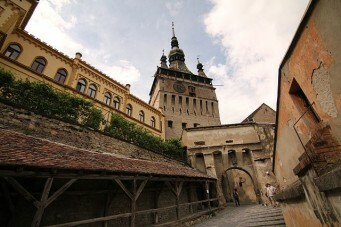 Continue to Sighisoara - medieval fortress from the 12th century, UNESCO listed. Visit the interior of the fort. This city is also known as the place where Vlad the Impaler was born - the prince who gave birth to the legend of Dracula. Accommodation in hotel of charm. 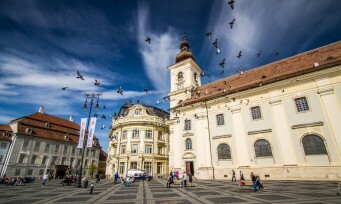 Departure to Sibiu - European Capital City of Culture in 2007. 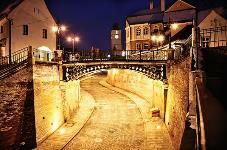 Sibiu medieval city centre is one of the most "live" parts of the country. It was European Capital of Culture in 2007 and remains a centre of many events. 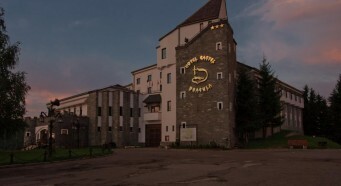 The town has both modern facilities and luxury accommodations, restaurants with Romanian specific and nice atmosphere at night. The city tour is on foot and includes: The Big Square, the Haller House, the Teutsch House, the Small Square, the Bridge of Lies, Huet Square, the Evangelical Church, Mitropolia Street, fortress walls, Schiller Square. Continue visits in Sibiu, if necessary. Departure to Curtea de Arges - small town of legends. En route, short stop and visit the monastery Cozia, one of the oldest of Wallachia. 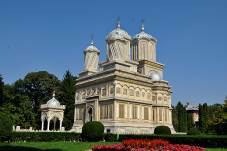 Visit the monastery where the kings of Romania are buried. There we will learn the legend of Manole, the builder, and his wife Ana. Arrival and accommodation at the same hotel for the first night. According to flight schedule, transfer to the airport and end of services.